Two weeks ago, Korea JoongAng Daily reported that the Japanese dome tour of TWICE will have additional shows due to the good turn-out of ticket sales. Two more shows will be held in Osaka on March 20 and 21. 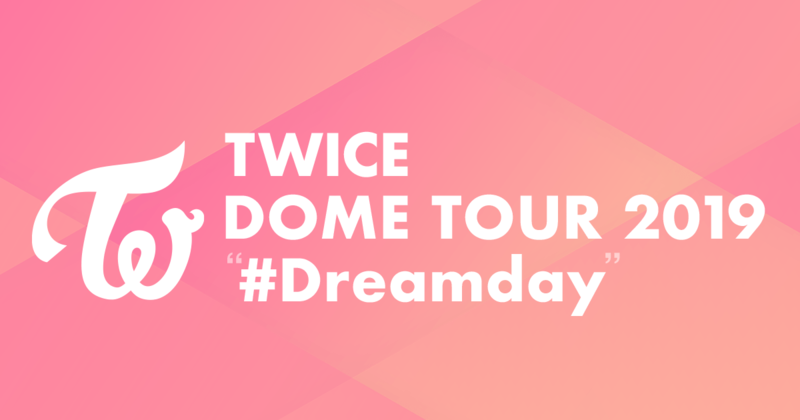 The “TWICE DOME TOUR 2019 #Dream Day” is scheduled to make stops at the Tokyo Dome from March 21 to March 30 and at the Nagoya Dome on April 6. According to Korea JoongAng Daily, the status of performers in Japan is determined by the size of the venues they perform in, such as a baseball stadium or an arena. Artists who can draw an audience of 40,000 to 50,000 people to a show are considered top performers. TWICE will be holding five concerts in three of Japan’s cities that are set to attract a total of 210,000 people. Next Next post: HapPY biRTHdaY!! !